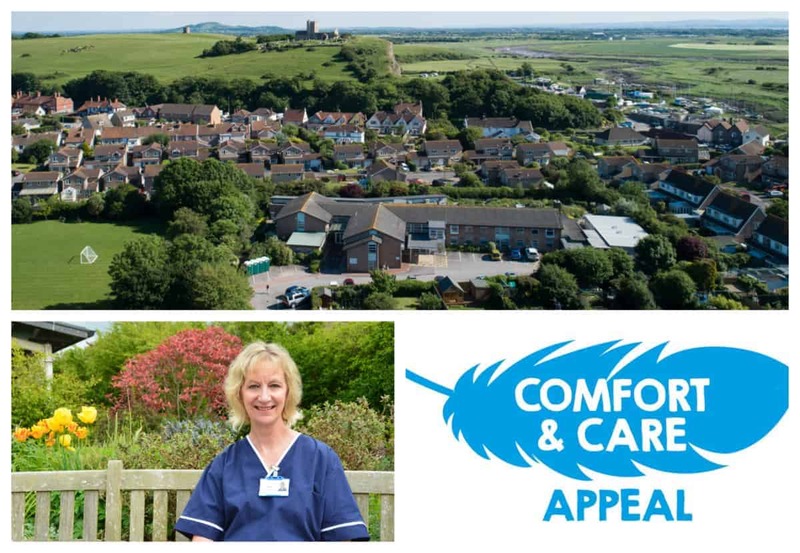 What is the Comfort & Care Appeal? Much of the equipment in the hospice’s inpatient unit has been in use since the facility opened back in 1997, and is now becoming outdated and impractical. Our patients deserve better. That is why we have launched the Comfort & Care Appeal, which we hope will see people throughout our community rally round to help, as we look to buy new beds, mattresses, chairs and an infusion pump. This shopping list has been drawn up with one clear ambition – to improve the comfort and care we are able to provide for our patients. Weston Hospicecare has been gradually upgrading some of these items in recent years when budgets have permitted, but the need to replace the rest has grown more urgent as the current kit nears the end of its working life. The Comfort & Care Appeal seeks to raise enough money to buy 8 electronic patient beds, 9 reclining electronic chairs, 4 pressure-relieving mattresses, and one infusion machine – at a total cost of £55,000. Electronic beds. These cost £2,682 each which enable patients to tilt and move the bed into a position which makes them comfortable, and are easier and safer to manoeuvre. Pressure-relieving mattresses. These are priced at £2,850 each, and are quiet, easily adjustable, cool and supportive, while helping to prevent and relieve pressure ulcers. Reclining electronic chairs. These specialist chairs offer patients greater mobility and independence, boost comfort and relieve pressure. They cost £2,130 each. Infusion machine. The unit needs one of these pumps at a cost of £3,206 – it is quick, efficient and easy to operate, and can be used to give patients medication, blood or platelets. Inpatient unit manager Jill Nash said: “Our goal is to help people with life-limiting illnesses live well, with dignity and independence, for as long as they can. And for families to be able to spend quality, fulfilling time with their loved one, making the most of each day they have together. “It is vital the people we care for feel safe, secure, and of course comforted at what is often an incredibly difficult time in their life. Because for some families we meet, these will be the last days – the last moments – that they share with each other. “It’s up to us nurses to make sure that each moment a person spends in our care is dignified and comfortable. That’s why the equipment we’ve always chosen for our patients is the very best – because, as I’m sure you’ll agree, they deserve nothing less. In short… every penny counts. So if you feel able to make a donation, however big or small, it would be a step along the road to achieving our goal of delivering the very best possible care we can to every patient who visits Weston Hospicecare. You can contribute in a number of ways, from hosting a fundraising event, to taking on a challenge, or simply making a donation. Jill said: “I can’t tell you how thrilled we’d all be if our whole community could come together to support local people in this special way.